You can hear and smell The Lot before you ever see it. A cacophony that starts as a murmur of laughter and clinking glasses rolls up and down Columbia Street just off Galveston, past Hutch's Bicycle Store. The blissful roar couples with the smells of spicy Mexican dishes, Thai curries, sizzling burgers, and fresh baking bread. For $600 a month and a shared utility, five diverse carts, (see the full listing at right), rent a place to park and cook at The Lot. Thai, Mexican, Hawaiian, and two contemporary American carts, as well as neighboring alternative bakery, Baked, encircle a communal courtyard with family-style seating. Heated benches and fire pits on the perimeter of the dining area allow the Lot to keep diners happy—and warm—throughout the year. And, through the center of the open-air (but covered) rolled concrete patio runs a raised bar lined with stools, offering a communal feeling for diners. 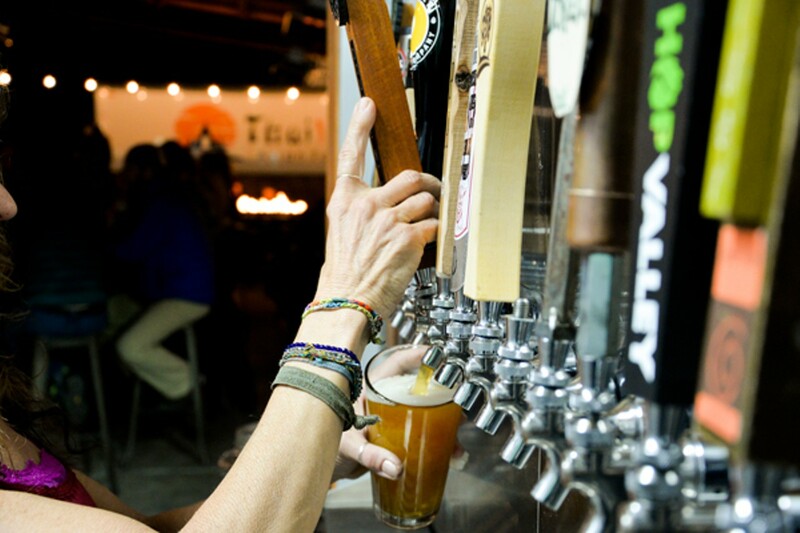 What's more, a bar serving beer, wine, cider and kombucha in over a dozen varieties services the collective space—and provides beverages for the food carts. All told, this is a 21st Century model for a restaurant; more informal than a traditional four walls and one name on the door, and catering to the modern-day mentality that wants choices. 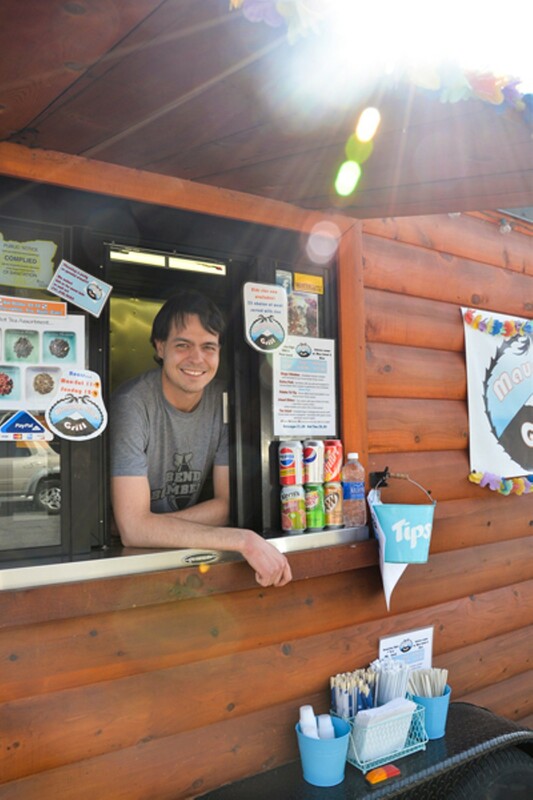 "We are honored to be a part of The Lot because we love the idea of being a part of a larger community of food carts," said Adrianne Davis, who owns the Mauna Kea Grill with her fiancé Tyler Baumann. Before moving to The Lot, the log-cabin mobile cart, known for its mouth-watering slow-cooked meats and Hawaiian fare, had been parked in front of Mountain Supply on Colorado Avenue. However, at that location the seating was spotty (think plastic lawn chairs), and the cart could not be open seven days a week. 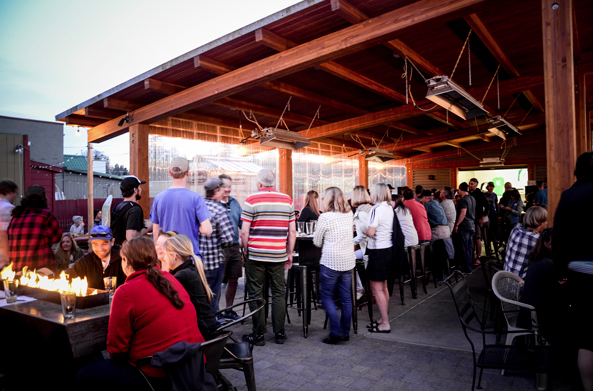 "It's great to be a part of a larger community, plus have a nice place for patrons to sit and enjoy a beer. Being a food cart, we want to provide our customers with the best possible experience. We deliver that with the food, but the setting was beyond us due to our mobile situation. Knowing we have a spot where our customers have all the beverages they want and a clean space to sit and restroom facilities is great." 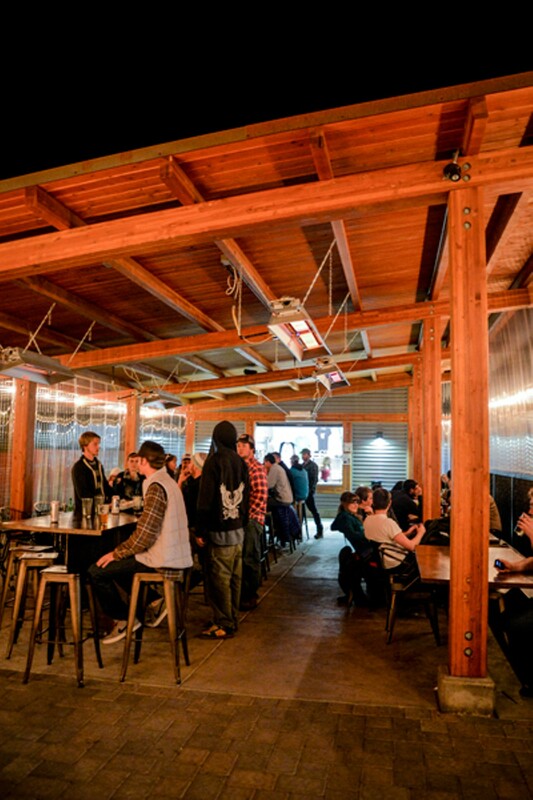 Opened in August of 2013, The Lot replaced, literally, an empty lot—one that often served as an open-air bathroom for the late-night crowd at the Westside Tavern. That is a far distant memory: Today, the modern-industrial architecture of an indoor-outdoor dining area—a tin roof and exposed beams—is casually sophisticated and as enviable as any eating spot in town. "Our biggest strength is that we are a group of small business owners with different strengths and ideas," explained owner David Staley. "Each cart owner has different ideas about cuisine and the industry. If we were a single kitchen serving food, we wouldn't have that kind of diversity. It's a symbiotic community where everyone benefits from everyone else." The addition of The Lot to Bend marks an important evolutionary moment in this city's culinary scene; no longer just brick-and-mortar locations, the definition of what it means to be a restaurant has begun to blur. Two years ago, two popular carts, Soupcon and El Sancho, combined to create the popular Mexican-inspired downtown restaurant Barrio, and, last spring, Spork moved from cart to a concrete storefront on Newport. This year's restaurant of the year panel made it clear that while food is the centerpiece of any deserving restaurant of the year candidate, ambiance also plays a vital role in the success of an establishment and the overall dining experience. 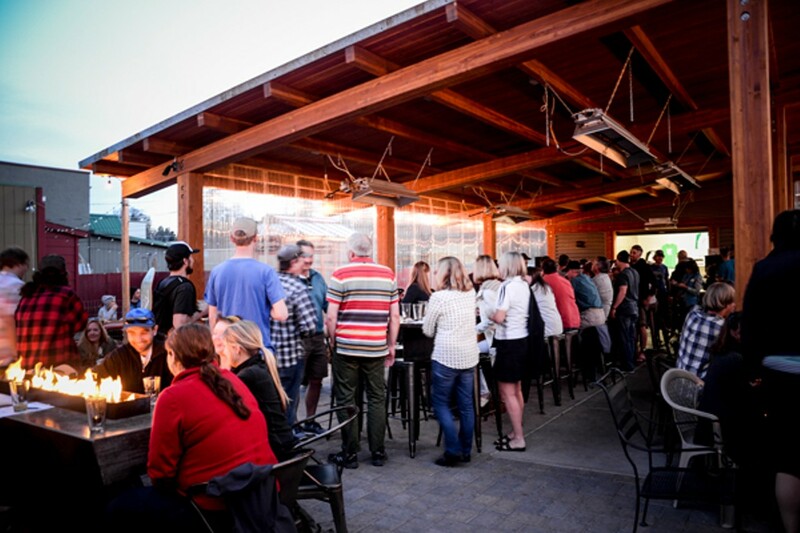 The Lot has this aspect locked in with a casual, friendly vibe and scheduled events almost every night that bolster community, brainpower, and culture. Tuesdays offer a packed-house trivia night attended by as many as 27 teams and offering questions on everything from exotic fruits to dead musicians. Wednesdays are open mic night, an event hosted by the charismatic MOsley WOtta, who encourages community members to bring music, poetry, storytelling and more to the pavilion. On Thursdays, The Lot hosts live music. Each of these events brings a different crowd, and the family-dining style tables mean mingling with folks who might not always be your neighbors. "It has definitely changed the whole feel of that little neighborhood," said Staley. "We get a lot of people walking or riding their bikes. It's something close by with a real casual atmosphere that just seems to fit that neighborhood. It's very community oriented for people that want to be active and out and about." The Lot's modern approach to dining merited mention in the New York Times in a trend piece about outdoor cart-style eateries and similar pavilion-style food pods that have cropped up in Portland and Los Angeles. Now, Staley says, he and the cart owners are looking to a successful summer season. The Lot will soon be stripping down the insulating plastic and returning to the original outdoor feeling of the dining area, as well as doing some additional landscaping. They also hope to add a rotating cart or two in the back gravel area behind Rico's Tacos for summer dining. "We're just trying to stay consistent and to have people have a good experience when they come here," Staley said. See the full 2014 Dining Guide online here.